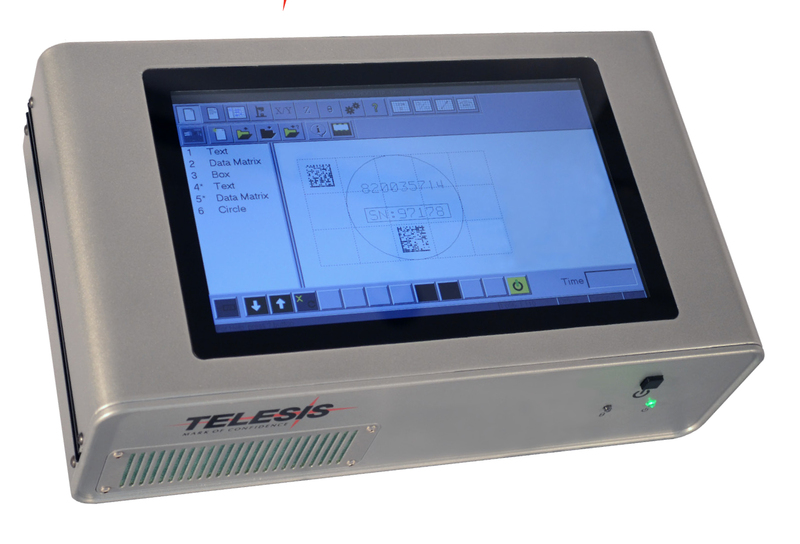 The powerful Telesis Merlinn®Touch PS software is a Windows® based software package that comes installed in the TMC600 controller. It is a graphical user interface that makes pattern design and marking quick and easy. The WYSIWYG (what-you-see-is-whatyou- get) interface provides a scale image of the pattern as it is created. 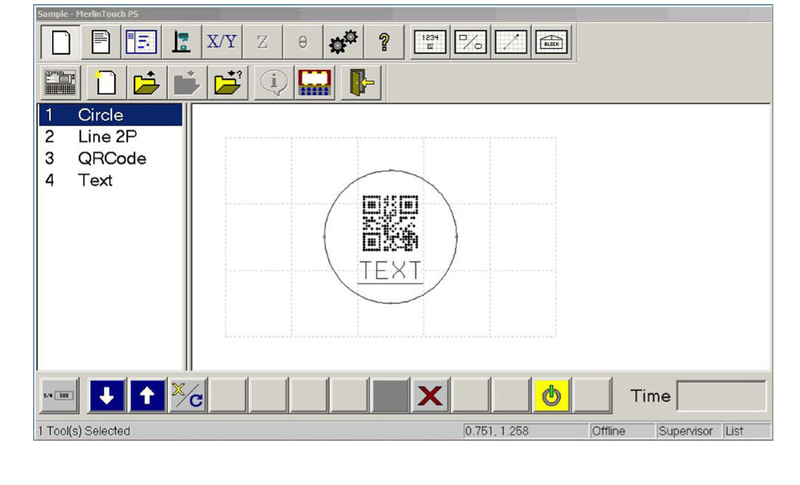 The Merlinn®Touch PS software includes tools to create and edit pattern files for marking. Each pattern can contain one or more fields; each field defines a single object. Printable objects may be created consisting of any combination of text strings, arc-text strings, geometric text strings, geometric shapes, graphics, and machine-readable data matrix symbols. Just “click and drag” for immediate adjustment to object size, location, or orientation.